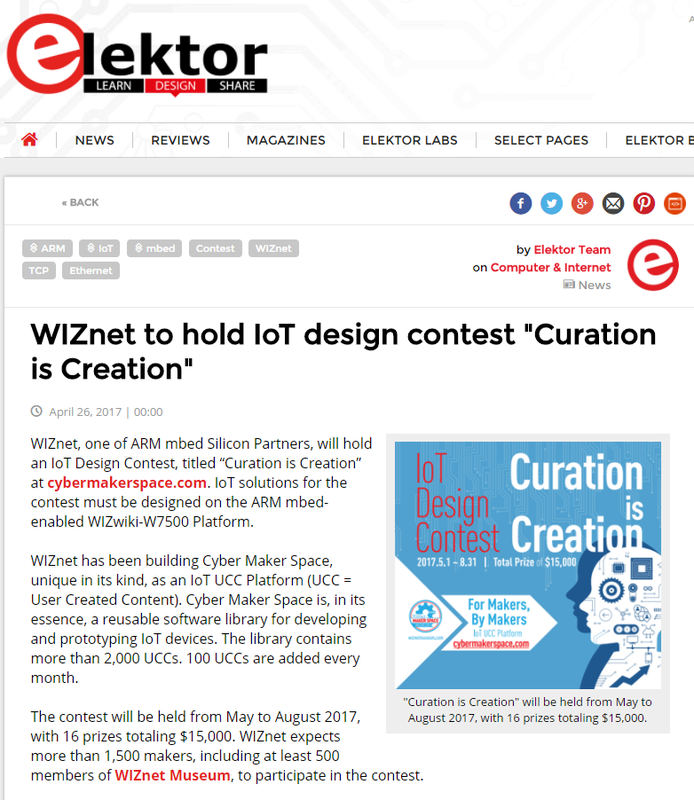 Elektor magazine publicize WIZnet IoT design contest “Curation is Creation”. | WIZnet Co., Ltd.
Elektor magazine(elektormagazine.com) publicize WIZnet IoT design contest “Curation is Creation”. The below is direct URL for this attractive contest article. Please come right now, and enjoy this cybermakerspace festival. This is a good opportunity to conquer the surprising 4th Industrial Revolution.